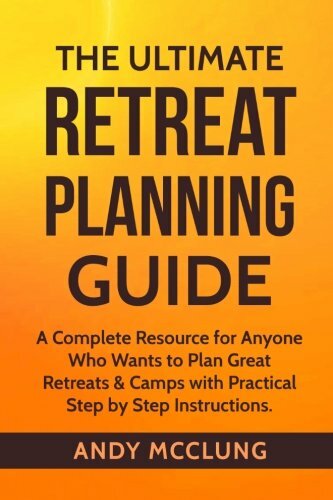 A complete resource for anyone who wants to plan great retreats & camps with practical step by step instructions. Does the thought of coordinating your first retreat scare you? Are you a seasoned retreat planner who is looking to take your events to the next level? In “The Ultimate Retreat Planning Guide” Christian event planner Andy McClung gives you step by step practical advice on how to make your next retreat a success. Fun camp themed coloring pages that your camper will enjoy. 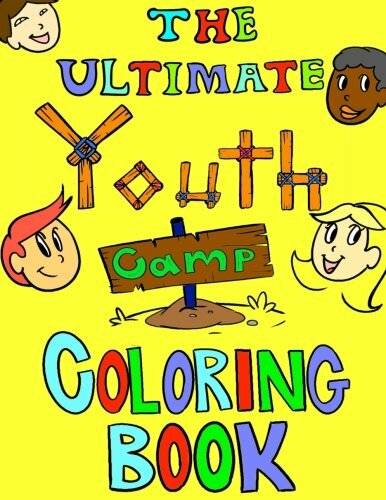 The Ultimate Youth Camp Coloring Book contains 27 hand-drawn camp themed images specifically designed for children and youth. All images are on their own page with a blank back to ensure no marker, ink or paint bleeding occurs. These pages have plenty of margins to tear our and be used to decorate areas or give to a friend. The Ultimate Youth Camp Coloring Book: Fun camp themed coloring pages that your camper will enjoy.